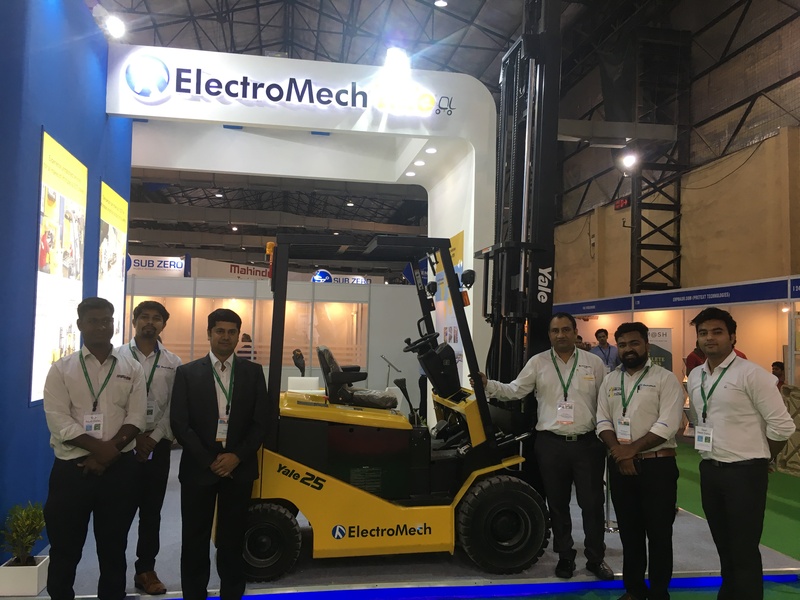 ElectroMech participated in India Warehousing & Logistic show in Pune during 23rd – 25th November, 2018. We exhibited 1.5 ton BOPT, 2 ton BOPT, Battery operated forklift, diesel forklift and Easy mover. The platform gave an opportunity to showcase our capabilities and product range to various industry participants. We participated in the International Exhibition on Logistics, Warehousing & Transportation for the Food & Drink Industry held in Mumbai during 27-29th Sept, 2018. The event was supported by the Ministry of Food Processing Industries, India. 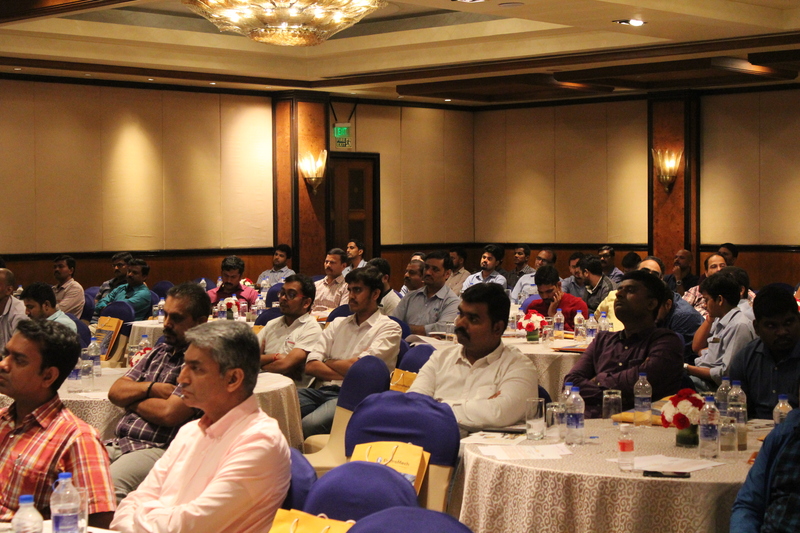 The platform gave an opportunity to showcase our capabilities and product range to various industry participants. 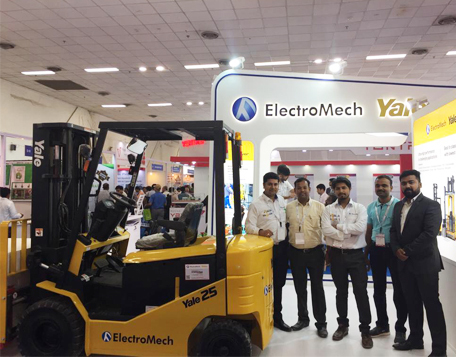 ElectroMech Yale recently participated in Indian Warehousing Show from 21st to 23rd June 2018. Our premium brand not only caught the customer's eye but also created a major impact in this event. There were more than 200+ exhibitors who participated in this exhibition. We exhibited 2.5MT of Battery Forklift, 1.5MT Battery Operated Pallet Truck (BOPT) & Easy Mover. The experience of moving 4.5 MT Forklift with their bare hands by our Easy Mover fascinated all the visitors. We had a very good response to this event and are excited to host you again at Food & logistics event at Bombay Exhibition Centre Mumbai from 27th to 28th September 2018. Do visit us at - Stall no J 09, Hall no 5. 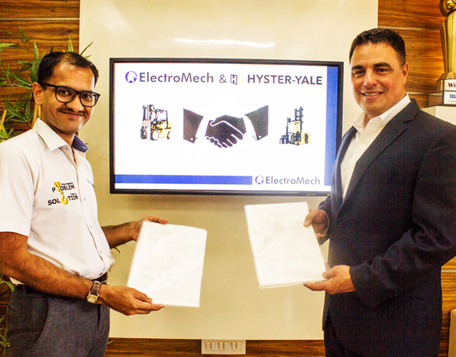 ElectroMech announced an agreement with Hyster-Yale Asia- Pacific Pty Ltd, for the sales and service of the later’s Yale and UTILEV® lift trucks in India. 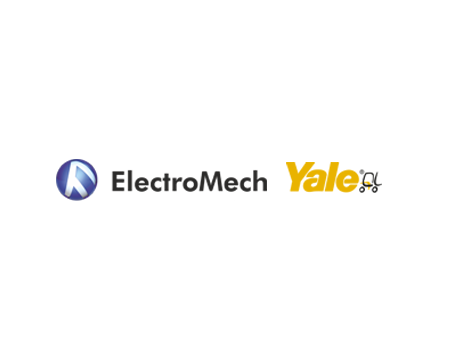 ElectroMech is India’s major overhead crane manufacturing company and serves diverse needs of critical sectors like manufacturing, heavy engineering, infrastructure, power, metallurgy, pharmaceuticals and paper. 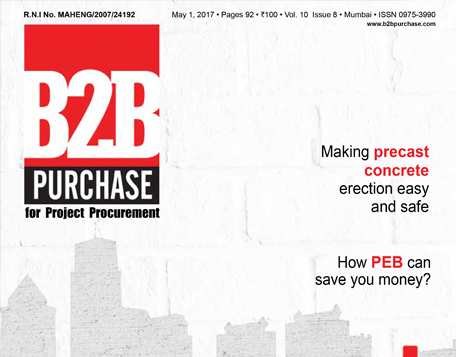 Established in 1979, the company has been producing top quality material handling equipment for use across India and about 50 countries globally. 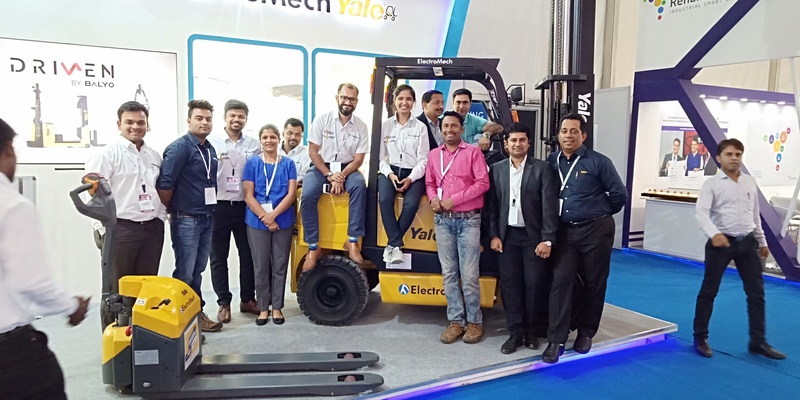 ElectroMech announced an agreement with Hyster-Yale AsiaPacific Pty Ltd, for the sales and service of their Yale and UTILEV lift trucks in India. ElectroMech is India’s largest overhead crane manufacturing company and serves diverse needs of critical sectors like Manufacturing, Heavy Engineering, Infrastructure, Power, Metallurgy, Pharmaceuticals and Paper. Established in 1979, the company has been producing top quality material handling equipment for use across India and about 50 countries globally.